Join our Mario Kart Tournament! 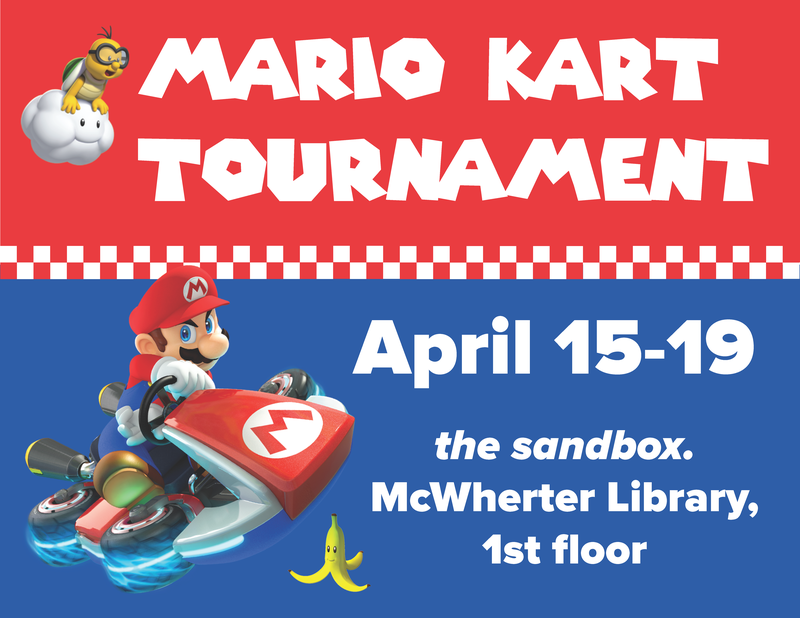 Enjoy free snacks while battling on the Mario Kart tracks using the tech available in the McWherter Library 1st floor sandbox. Tournament winners will receive fun prizes.